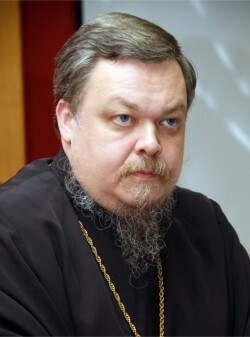 Moscow, November 27, Interfax – There is a need for an open and broad public debate on the proposal to reflect in the Constitution the special role of Orthodox faith, Archpriest Vsevolod Chaplin, the head of the Synodal Department for Church and Society Relations, said. “Such initiatives, like any public, ideological, and legislative initiatives, can and should be discussed freely. It is strange that people who expressed so much support for the draft religious Code proposed by Mr. Prokhorov, which in my opinion is debatable, literally begged the authors of this initiative to be silent,” Father Vsevolod told Interfax-Religion. “Any proposals should be discussed. They should influence public opinion. We need to know how our people really feel about them, not just how narrow expert or political groups feel about them,” he said. “It is obvious to me that Orthodox faith has special significance in Russian history and modern life, regardless of how our law will develop. Our country would not have become Russia without Orthodox faith, and it has no future without Orthodox faith,” he said.